Kilroy’s College has just launched a haunted home study Halloween offer and to mark the occasion we have out together a short guide of some of the most haunted places in Ireland. Prepared to be scared! Very scared…. Ireland’s Leap Castle is widely regarded as the most haunted castle in the world! Many thousands of ghost hunters travel to the castle each year, attracted by the haunting tales that surround it. 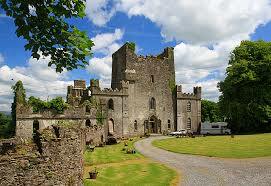 Leap castle is said to be haunted by an entity known simply as ‘it’. The entity is said to be about the size of a sheep, with a terrible decaying face. Whenever ‘it’ appears there is usually an accompanying smell of decaying flesh sulphur. 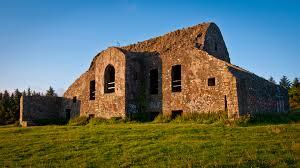 The Hell Fire Club is an old hunting lodge that dates back to 1725. Although now derelict and burnt out, it is built on a Neolithic passage tomb and in the past, was used by Lords and noblemen for meetings and rituals to conjure up demons and even old Nick himself. The oldest part of Malahide Castle dates back to the 12th century and it was the home of the Talbot family for over seven hundred years. 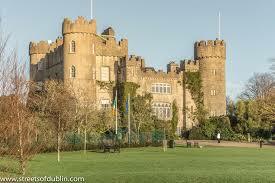 The castle has had a very long and betimes, dark history. The most memorable event took place during the Battle of Boyne when fourteen members of the Talbot family sat down for breakfast together and by dinner time they were all dead! 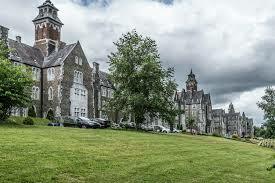 Built in 1798 by William Saunders Hallaran, it has been reported that the St. Kevin’s Hospital building still rings with the screams of former inmates. The derelict area of the asylum is particularly haunted. Visiting paranormal researchers and experts have not only witnessed manifestations of these trapped spirits, but have also recorded their voices via EVP. Kilmainham Gaol was in use from 1796 until 1924 when the jail closed for the final time. Among the ghosts and other phenomena reported to have been seen and heard at Kilmainham Gaol are disembodied voices, phantom footsteps, lights switching themselves on and off, unexplained bangs, and people being pushed by unseen hands. Children often become upset and can refuse to enter the building and some visitors report a general feeling of being watched. This hotel sports a resident ghost – Lady Isobel Shaw. She is said to have fallen to her death from the window of a room after she was chastised by her husband for not giving birth to a baby boy. 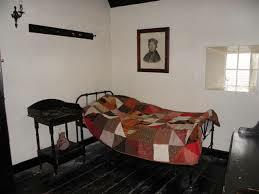 Her room is now known as the Ghost Room, and is no longer offered to hotel guests. Loftus Hall is a mansion located on Hook Peninsula which is said to be haunted by the devil himself. One dark and stormy night, Sir Charles Tottenham was hosting a card game at Loftus Hall when a stranger came to the door. The visitor was wet through and was looking to shelter from the storm. Sir Charles bid the man inside and kindly invited him to join the card game. However, one of the women present at the game dropped her cards and as she bent down to pick them up from under the table she was horrified to see that the man had blood-soaked cloven hooves in place of feet! He is said to have then revealed his true form to those gathered and he then shot through the roof and disappeared. 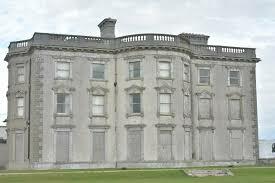 It is said that his presence still haunts Loftus Hall to this very day. Our home study courses do not contain any drama or unpleasant shocks so don’t be afraid to enrol today! Just so you don’t get any surprises, here is what you can expect to get, when you enrol as a distance learning student on one of our 65+ different courses. Don’t miss out this Halloween – enrol today and get started on your learning journey!